Dorothy Ann Troia, 97, passed away on Monday September 10, 2018. She was born in Santa Cruz, CA on February 9, 1921. She graduated from Fremont High School in Oakland, CA and furthered her studies receiving a degree in Business Services. 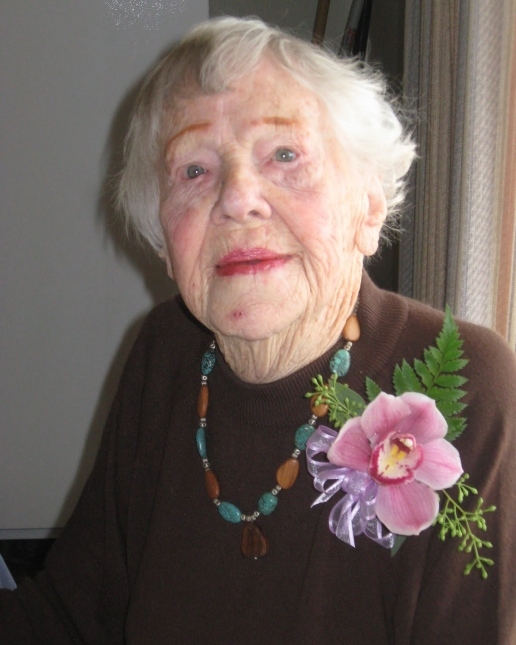 Dorothy was a lifelong parishioner of St. Catherine's of Siena Catholic Church in Martinez. She is survived by her son Dr. Robert Jensen of Whidbey Island, WA, her granddaughters Marjorie Vanskiver, Becky Mathis, Shelly Jensen Lopez, Megan Jensen, and five great-grandchildren. She will join her late husband, Anthony (Tony) Troia, in rest at Oakmont Memorial Park. Her professional career of 40+ years involved working as a Business Manager in the trucking and wholesale distribution industry in Oakland and San Francisco. In addition, Dorothy was very active in the Martinez community. She was recognized by the Martinez City Council as “Citizen of the Month” and declared a day in her honor for her exemplary service. She served as President of the Martinez Lioness Club and remained an active member until recent years. Dorothy received the "Outstanding Service Award" by the Veteran's Administration for her many years of volunteering at the Martinez VA Medical Center. For years, Dorothy was an avid bowler and member of several leagues at Paddock Bowl in Martinez. Dorothy was very generous with her time and always supported those in need. She served as a role model to us all and will be dearly missed. A gathering to celebrate Dorothy's life will be held at Connolly & Taylor Chapel, 4000 Alhambra Ave in Martinez on Saturday October 13th at 10:30am followed by a reception where family and friends can share memories and condolences. Interment will be private. The family requests that in lieu of flowers, friends make a contribution to the Lioness Club of Martinez in Dorothy’s name, P.O. Box 765 Martinez, Ca 94553.